This weekend the Edinburgh Fringe Festival kicks off. The largest arts festival of it’s kind in the world and this year there are over 3000 different shows on offer. 3000 shows, sounds like an awful lot of shows, even to somebody, who eats, drinks and sleeps theatre. There’s no way you could see them all, and when faced with a hefty guide containing all those shows, in which every company has done their absolute best to make their show sound like the ONE TO WATCH, it can feel almost impossible to know which shows are actually worth seeing, and which maybe aren’t. 1. Pick a safe bet. Along with the official fringe brochure, each year, many of the leading newspapers and theatre pubblications release their list of ones to watch. These lists get more comprehensive once the fringe has actually begun and reviews begin to come out, but people like Lyn Gardener have access to shows, companies and theatre goodies that others of us can only dream of. Type in ‘Top 10 things to see at the Edinburgh Fringe’ to google, and you’ll be greeted with lists from The Guardian, The Skinny and The Telegraph. Picking a show from one of these lists is a pretty good place to start. Don’t just rely on other peoples opinions though. 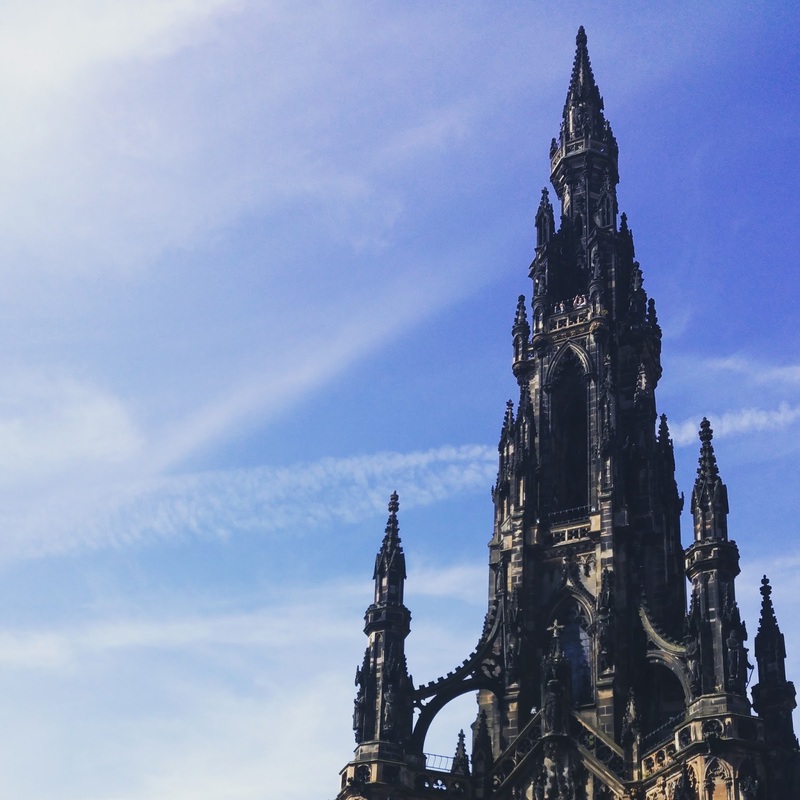 It might not sound like the care free, go with the flow festival vibe you’d expect from the Edinburgh Fringe, but doing your research before you get there will save you hours of sitting in a dark room politely watching a terrible show. Believe you and me, terrible shows happen. The fringe festival is a completely open access festival, meaning everyone, anyone and their dog can put on a show there. And they do in their thousands. This is one of the things that makes the festival so special, but special isn’t always good! Having a quick browse through the brochure, or the Edinburgh Fringe site, putting together a list of shows you like the sound of, and then doing a quick google of the theatre companies name can give you a much better picture of how good the show will be. First and foremost do the company even have their own website? How do they look on social media? Do they have any reviews of this show or previous ones? Sure a new company might have spent more time making an amazing show and not building a website, and you shouldn’t rule them out because of this, but to be on the safe side, don’t fill your whole trip with the unknown. 3. Don’t plan out your entire trip. It’s always a good idea to leave an afternoon, an evening or a full day depending on how long your visit is, completely unplanned. Reviews come out daily (hourly, thanks to social media) and you’ll almost definitely hear about a show while you’re up there that you absolutely do not want to miss, so having a bit of space in your timetable to fit these gems in, often ends up being your favourite part of your visit. These gaps in your itinerary are a great time to take a risk. Whether that is on a company you’ve never heard of before, or pushing yourself with the type of shows you go to see. In some ways the whole Fringe Festival is a risk. Its a risk for places that aren’t normally venues to give it a go and it’s a risk for performers who pour their heart, soul and heaps of money into taking their show there. If you go and see a show that you would never normally dream of seeing, then you probably won’t be the only person in the audience a little bit nervous about what they have let themselves into. Maybe you’ll hate it, or maybe you will stumble upon that little known comedian that nobody has ever heard of before, and you’ll feel like you were part of something really special. Either way it will add tenfold to your experience, and what the fringe is, really, all about. 5. Make the most of the free stuff! If you don’t want to spend money on the great unknown or taking a risk, then the free fringe is a great way to see new acts on a budget. Every year the free fringe produces it’s own guide of shows that are free to attend, where a bucket is passed around at the end and you are asked to make a no obligation donation if you liked the show. It’s a great way to see something different, or to fill an unplanned hour. As well as this you’ll find loads of promoters out on the street with ticket offers and give aways, and everyday new shows are listed on the half price hut, which while you’re tickets aren’t free, you can sometimes get some of the biggest best shows for half the price, so it is always worth dropping by and taking a look! In fact download the Fringe App, which is not only great for seeing what’s on offer at the half price hut, but also for finding venues, and saves you having to lug your guide around with you as all the shows are listed on their too! 6. Don’t forget to eat, rest and see Edinburgh! It’s easy when your planning out your trip to tell yourself you will see a different show every hour. Of course you want to dedicate your trip to seeing as much of the fringe as possible, but don’t forget Edinburgh is a beautiful city, and leaving a little bit of time to take in the sights, grab some good food or a delicious coffee and reflect on what you’ve seen, means the whole trip won’t pass you by in a razzle dazzle blur! So there you have it, my beginners guide to the fringe. Are you a seasoned pro and do you think I missed anything? Are you heading up to the fringe this year? And do you have any top picks for us here in the office? Lyndsey and I are both heading up this year to find some exciting new STUFF to bring to Lancashire in the future, so keep an eye out for our reviews, and seasons to come!